- Some exterior lights flash, all the doors lock, and the security system sets. - The beeper sounds and verifies the security system is set. 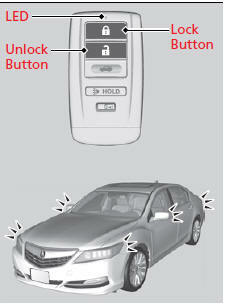 - Some exterior lights flash twice, and the driver’s door unlocks. - The remaining doors unlock.